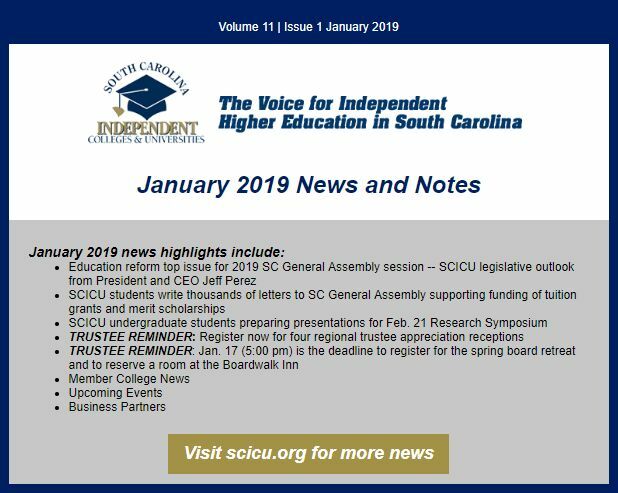 SCICU News & Notes are a series of email and online newsletters that include updated information about our twenty member colleges and universities. Our News & Notes also include up-to-date articles about certain legislation that may affect funding for our member institutions. Please click here if you would like to be added to the mailing list for the SCICU News & Notes newsletters.